I must admit to being a bit nervous...new band..and first gig but it rocked !!! 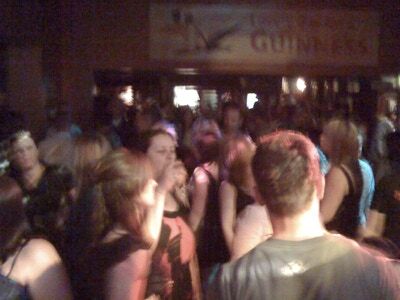 !....Puggs is such a great venue and we are back again next month !!! I really enjoyed playing all the new tunes (about 20 out of 40 were new for me)....Corey did a killer job on vocals and I had a blast. Whats more who can complain about free band food !!! - very nice Parma !!!! This is a great gig and Im really looking forward to getting back there with the boys...the new tunes from Robbie Williams, Thirsty Merc, Maroon 5, Incubus, PowderFinger, Eagle Eye Cherry as well as some serious funk from Spin Doctors, Black Crows ..went off!!! Cant wait till next time...now i need some SLEEEEEEEP !